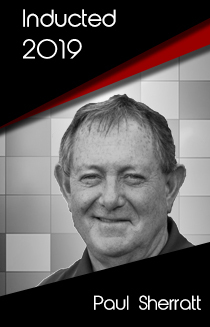 Paul Sherratt is currently a PGA of Canada Class “A” Head Professional at Rideau View Golf Club in Ontario. Paul is a former PGA of Canada President, having served on the PGA of Canada National Board of Directors for 11 years, including five years as the Ottawa Zone Representative. Spent 15 years on Boards with the Ottawa Zone and five years as the PGA of Canada representative on the Canadian Golf Hall of Fame Committee. He has been awarded numerous awards including the Jack McLaughlin Junior Leader of the Year Award in 2005, two-time Score Club Professional of the Year and nine-time Ottawa Zone award winner recipient, five of which were Club Professional of the Year. Paul was instrumental in the induction of Moe Norman into the Canadian Golf Hall of Fame. This was acknowledged in Lorne Rubenstein’s book, “Moe and Me”. Identify the key action items, timeframes and primes for the implementation of these strategies.